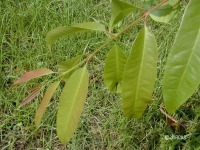 Small to medium, deciduous tree, up to 10 m tall, trunk slightly fluted at base, bark grey, papery scaly; twigs angled and swollen at the nodes. Leaves simple, opposite; petiole 6-16 mm. ; blade membranous, narrowly to broadly elliptic, 5 by 3 to 17.5 by 7.5 cm; apex blunt or shortly pointed; base acute; reddish pink when young; midrib sunken above; secondary never 7-12 pairs, arching and joining at margin, distinct on both surfaces, especially below. Flowers 1.3 to 2.5 cm wide, borne on the bare twigs, fragrant, petals pale pink. Fruit a capsule, 1.5-1.8 cm long, the sepals covering only the very base of the capsule. They are common in dried, mixed deciduous forest, up to 1,000 m above sea level. 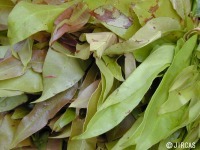 Young leaves are collected from the wild during rainy season. They are eaten rawed or boiled with fish or pork. Young leaves are sour and astringent. Highly antioxidative. 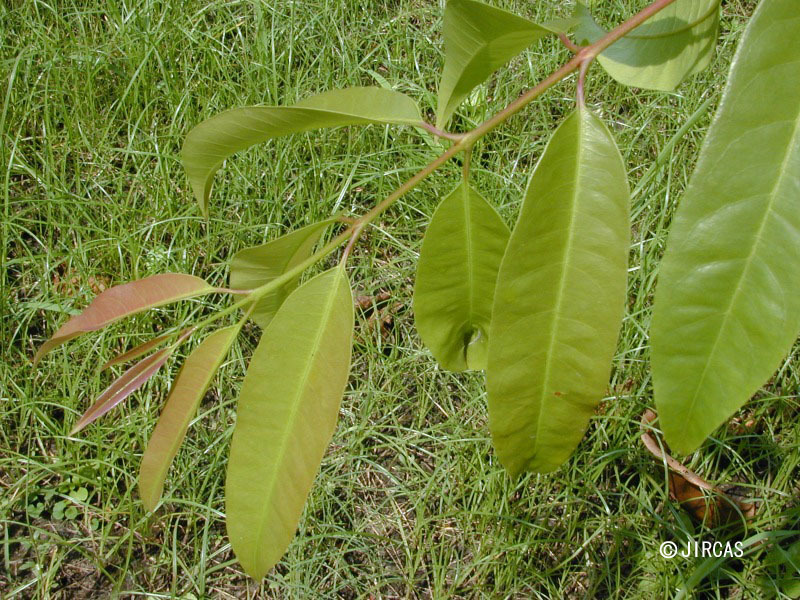 This plant can be grown from seeds or from hardwood cutting.